Prototype: 12 German State Railroad Company (DRG) four-axle type OOt Saarbrucken / Erz IId (later designation OOtz 43) hopper cars. Version with medium height upper superstructures and brakeman's platforms. 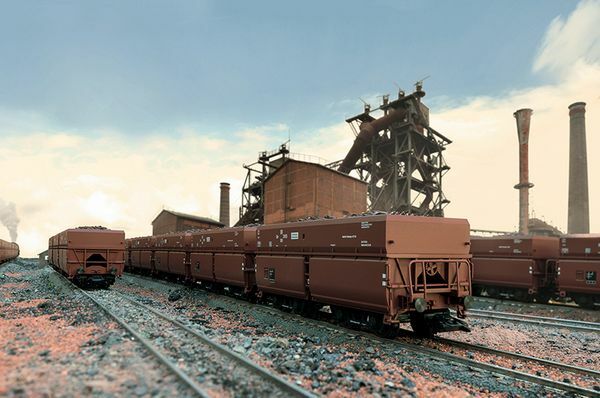 Used to transport iron ore. Standard design pressed sheet trucks, without lower beams welded in as reinforcement. The cars look as they did around 1944. Model: The hopper cars have detailed construction with different car numbers. All of the cars have brakeman's platforms and set wheels at the ends. 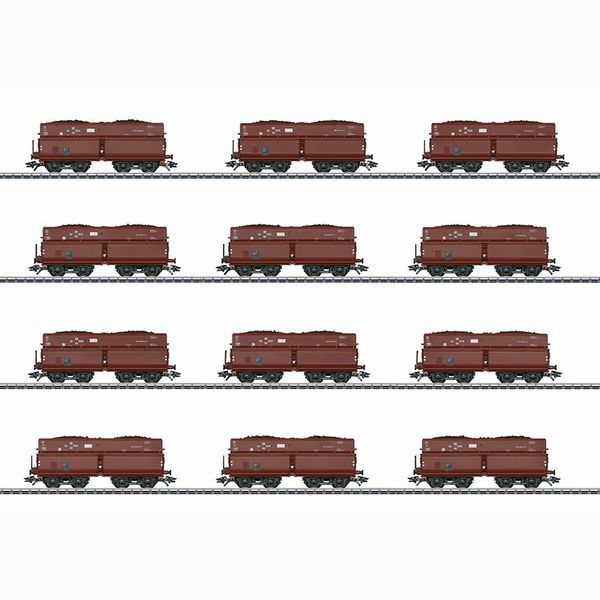 The hopper cars have load inserts of real scale sized iron ore. All of the cars are individually packaged and have a master package. Length over the buffers per car 11.5 cm / 4-1/2". DC wheel set per car E700580.